Family Event at Fort Ontario! 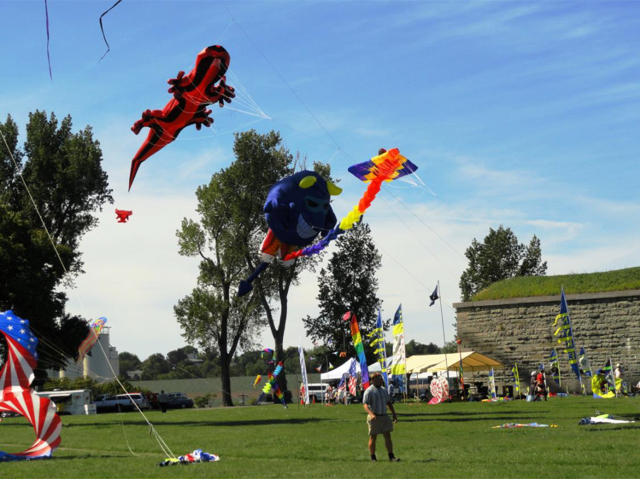 Kitefest – fly your kite, or watch some of the areas best kite enthusiasts! Children’s Parade – come dressed as your favorite Madeline character! (Adults welcome, too!) starting at 1:00 at the Oswego Arts Center. No costume? Madeline and Pepito hats will be available for sale at the Arts Association! Free Ice Cream Social, after the parade, sponsored by the Children’s Museum of of Oswego. Arts and Crafts at the Oswego Art Association – 3 free color, paint, or collage projects. Buy an inexpensive white kite, decorate it and fly it outside! Photo opportunities with Madeline cut out characters. Free entrance to the stone fort all day. A day of play and fun at Fort Ontario!